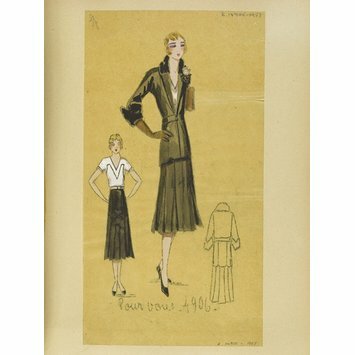 1 of 122 designs for coats and suits for Summer 1930, mounted in volume. House of Worth. Design for a coat or suit for Summer 1930. 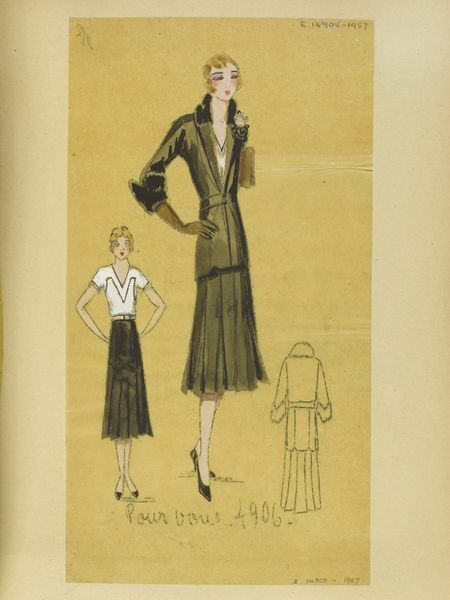 Worth Collection, Été, 1930, Costumes et Manteaux.